His name is synonymous with betrayal. His critical role in the story of Jesus secured Judas Iscariot the reputation of the most reviled human in the entire Christian Bible, a status that transcends the Bible into collective Western conscience. At first glance, it would appear that Judas’ role and relevance are cut and dry and scarcely discussed in a faith-based setting. This of course comes from my own experience, but I think I can say that most Christians look to Judas as the ultimate evil and the tipping point that leads to Jesus’ death. For this entry, my goal is not to look in-depth at the text, although I will point out a few features that Bible readers may have missed. Rather, I want to raise the obvious conundrum of Judas’ role in the life and death of Jesus, and what it means for Christians. First, we will look at the Biblical tradition surrounding Judas, with a quick glance at other written material. Finally, the bulk of the discussion will focus on the profound and befuddling theological question of Judas’ role. First, let us be clear as to what the biblical text has to say regarding Judas. The four canonical Gospels, as well as the Acts of the Apostle, include Judas. 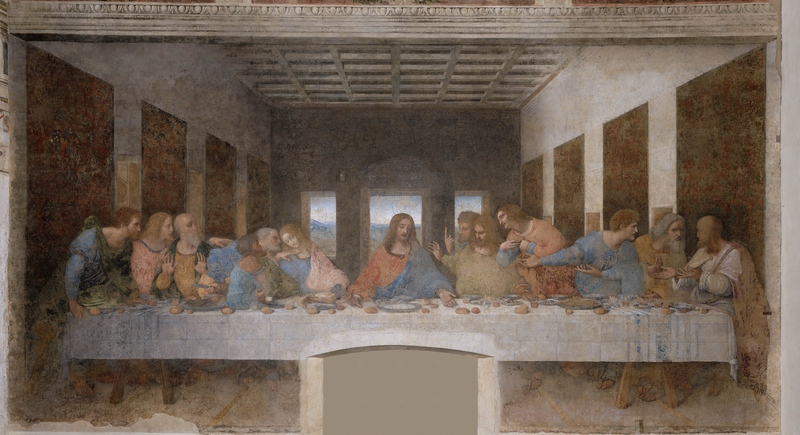 If we move through the generally agreed upon timeline that of the canonical Gospels, Mark is the earliest followed by Matthew and Luke, and finally John, one notes key developments in the narrative of Judas. For Mark’s narrative, Judas approaches the council, offers to betray Jesus, and then rewarded with money. In Matthew’s version however, Judas asks outright “What will you give me if I betray him to you?” (Matthew 2615, NRSV). In my opinion, Matthew’s subtle change to Mark’s text suggests the addition of an explanation for the betrayal. In Mark, it is not clear that Judas has a motive, yet Matthew makes it clear that he sought reward. Another clear distinction between Mark and Matthew’s account is that Mark leaves Judas’ story unfinished. He disappears following the betrayal, yet Matthew portrays Judas as remorseful and after attempting to return the money, Judas kills himself via hanging. Luke’s version presents a slightly different picture. This account contains the variation that, “Then Satan entered into Judas called Iscariot, who was one of the twelve…” (Luke 22:3). Luke’s version presents the alternative motivation that it is Satan who is responsible for Judas’ betrayal. The fate of Jesus is revealed by the author in the companion piece, the Acts of the Apostles, stating that “[Judas] burst open in the middle and all his bowels gushed out,(Acts 1:18)” which is then linked to a passage in Psalms, suggesting the fulfillment of a prophecy. Therefore, what do we make of these differences? It is not surprising that the details of the betrayal differ. After all, each author likely consulted material from various Gospel sources, including “Q,” and oral tradition to construct their own version. The fact that the Gospel writers were forced to confront the issue of betrayal is far more interesting. This is the crux of my argument: Christians face a theological quandary in their interpretation of Judas as, according to the narrative, his act of betrayal sets into motion the crucifixion and ultimate resurrection of Jesus. Judas is vilified, yet his role in the Gospel story is absolutely imperative. Despite the fact that the crucifixion means different things for the different Gospels (read closely, you will see), it is a pivotal event, initiated by Judas. I would even go as far as to say that the variations in the canonical Gospels regarding Judas are an attempt by the authors to justify the dichotomy of Judas as betrayer and Judas as initiator of the Passion narrative. I simply put forth that if the writers of what became the canonical Gospels are going to paint Judas in the light of this betrayer, perhaps modern Christians should reevaluate this stance and ask ourselves whether this is a deserved reputation. Although I am not as comfortable speaking about the New Testament as I am the Old, here are some things that from my perspective, I can say with confidence. From a historical viewpoint, multiple sources indicate a person by the name of Judas belonged to the inner-circle of followers of Jesus, and that person played some role in the events that lead to Jesus’ eventual crucifixion. Beyond this barebones piece of information, early Christian writings struggle with the extent of Judas’ role in Jesus’ execution, as well as the motive behind it. But given the various degrees of culpability portrayed in the Gospels, can one turn to any other sources for a dissenting opinion? One can, in fact! However, one must leave the canon of the New Testament. By now, many have heard of the Gospel of Judas, a document that scholars have been aware of for a while that was published in 2006. One aspect of this Gnostic Gospel is the notion that Judas is the only one of the disciples who understands Jesus’ true nature, that of being of the spirit realm, thus making Judas privy to secret knowledge. Judas receives a special vision from Jesus, demonstrating his worth over the other disciples. The interpretation that follows is that Judas will free the human Jesus to become the spiritual being again, thus committing a very important and holy act. The ancient text of the Gospel of Judas reflects a community in antiquity saw something different about Judas’ role in the story of Jesus’ death. Perhaps modern Christians too should take a cue from this text and reevaluate Judas’ role. Is it possible that as a betrayer, he should not be viewed in a negative light? From a religious perspective, did Judas have a choice and if we are to believe the account of Acts and the Gospel of Matthew, did Judas meet an untimely end because of his actions? Sound off below with your own thoughts. Does this cause you to reconsider Judas? Do you think the canonical view has the better interpretation? Thanks for reading! *Author’s note* – A special thank you is in order for my friend Justin, who suggested this topic for a post. This entry was posted in Religion and tagged Betrayal, Canon, Christianity, Gospel, Jesus, Judas, New Testament, Theology. Bookmark the permalink.